The term "feature length film" is something of a slippery one. However, if one takes it to mean a film with a running time greater than an hour then it's fair to say that From the Manger to the Cross, made in 1912, was the first feature length film about Jesus. 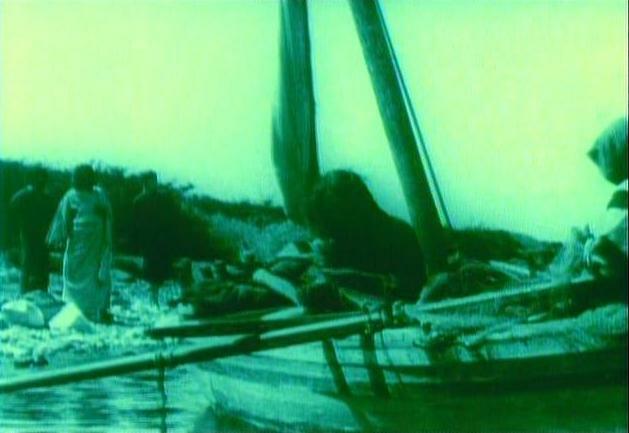 Although the dating of Jesus films before this date is somewhat unclear, the vocabulary and techniques of the medium of film had moved on considerably in the 7 or so years since the release of The Life and Passion of Jesus Christ was released somewhere between 1902 and 1908. In particular, film-makers had begun to progress in their thinking from film being a novel form of side-show entertainment, to it being an extension of the theatre, and onto understanding it's place as one of the visual arts. Hence, whilst the film is still largely shot in middle distance, there are a few exceptions, and we also begin to see some more visually pleasing camera shots, with more interesting compositions. Take for example the shot captured above which shows the boy Jesus carrying a plank of wood for his father, inadvertently casting the silhouette of a cross on to the ground. Many consider Chinese shadow plays to be one of the forerunners of cinema, so there is something here of things coming full circle. Elsewhere we see a greater understanding of depth of focus as Jesus enters the shot below from back of the focus field, rather than the front as was more usual. The composition is far more pleasing than anything in earlier Jesus films. Jesus remains the focus of the shot, as we follow the disciples' gaze towards him, and the skyline "points" towards him. All of this is not bad to say that the film crew that was sent out to the Holy Land were not intended to film a life of Christ, but several other one reel films such as Captured by Bedouins and An Arabian Tragedy. However, inspired by the locations actress, and sometime writer, Gene Gauntier penned a script for the film and persuaded Sidney Olcott (who had previously made the 1907 version of Ben Hur) to direct it. Looking back over 100 years it's hard to understand how aware people were of what the rest of the world looked like. Today we are used to TV, cinema, the internet, advertising in general pumping images at us at an incredible rate, many of which relate to the rest of the world - not to mention the impact of cheap flights on world travel. In 1912, photography, and film in particular, was in its infancy, and whilst people may have seen the odd pencil sketch or the occasional photograph of certain sites of interest, the chance to see images of the wonders of the world would have been a big draw in itself. 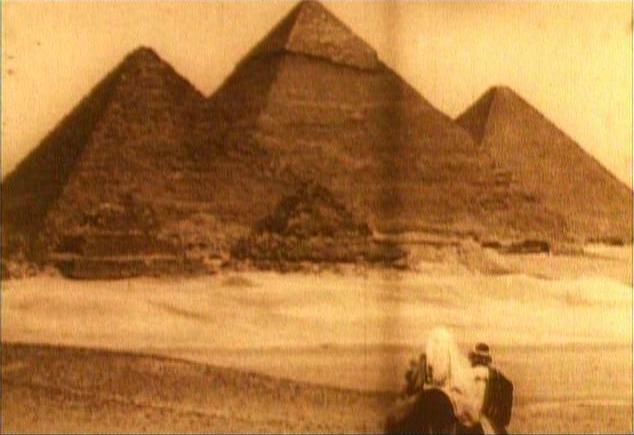 It's no surprise then that the film features the pyramids and the sphinx so prominently when Joseph and Mary escape with the infant Jesus to Egypt. They probably had the pulling power of the groundbreaking techniques of the original Matrix film in our day. Location filming, today the norm, was then not only a novel way to make the film look more realistic, but it gave audiences a chance to see the world for the first time. 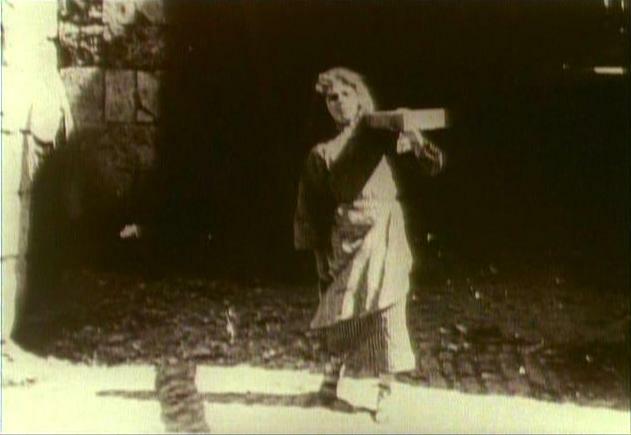 The limitations of "silent film" also directed the medium in various ways. Even a brief glimpse at the episodes shown in the film show that, as one might expect, this film emphasises Jesus's actions rather than his words. There are ten or more healings in the film, and the supernatural is in evidence also in a number of dreams, although in stark contrast to earlier films the angelic presence is shown off screen, only represented by a stream of light, or the character's gaze off screen. This active Jesus closely aligns with that of Mark's all action Jesus, even though the film is really a harmonisation of stories from all four gospels. The film was also highly controversial. Robert Henderson-Bland, the actor playing Jesus, or Christus as he preferred to call it, claimed that "No film that was ever made called forth such a storm of protest".1 For some, the offence was based solely on an objection to any cinematic depiction of Christ at all. The medium was increasingly being viewed as depraved, and rotten to the core in some church circles. Perhaps some fo the objections however related to the way the film attempted to wrestle its imagery away from the confines of church tradition. For example, the use of a T-shaped cross, or the composition of the last supper (see right) which emphasised how some at the meal ate whilst reclining (Luke 22:14). Perhaps the most controversial aspect of the film was it's omission of the resurrection. On its release, however, the film seemed to be well received, with some Christian groups rejoicing in such an evangelistic opportunity. Henderson-Bland's portrayal would be one of the best for years to come, capturing both his humanity and his divinity well. He was able to be compassionate and caring for most of the film, and yet is clearing of the temple is one of the most passionate and fearful of them all. The film also captures his relationship with his father nicely in a few brief shots of him spending time alone praying from the Mount of Olives overlooking Jerusalem. 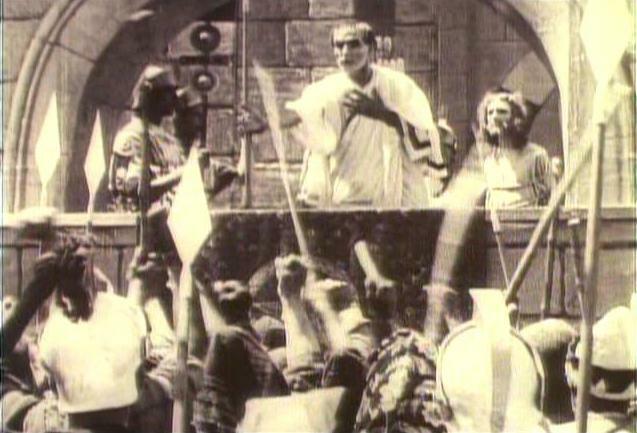 The film also seemed to avoid the charges of anti-Semitism that were levelled at the slightly later Palestinian scenes from D.W. Griffiths' Intolerance (1916), and DeMille's The King of Kings (1927). This was in no small part due to the omission of any sort of trial scene in front of Caiaphas and the Sanhedrin. It is also noticeable that the "crowd" who beg Pilate for Jesus's blood is probably the smallest crowd of any other Jesus film, with the possible exceptions of Il Messia, and Last Temptation of Christ (where Pilate sentences Jesus in private). Given the positive reception it was no surprise that the film achieved a number of subsequent re-releases, some of them with tacked on "resurrection scenes" under the alternative title of Jesus of Nazareth. There was even a re-release at the start of the sound era, adding a soundtrack with a few sounds effects. Whilst the soundtrack brought the film more up to date, it removed some of the simple spritiuality of the images. I'd advise viewers to day to watch it muted. 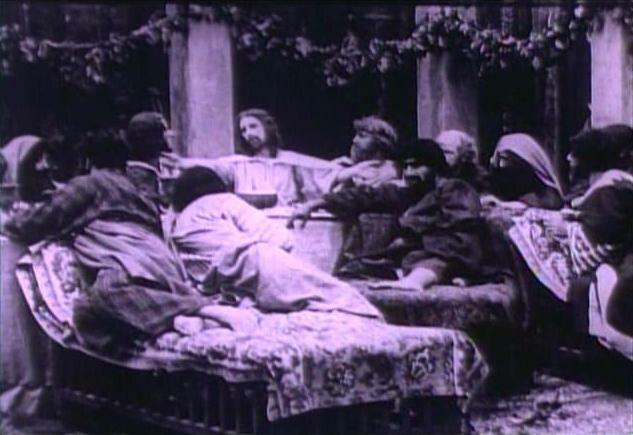 Eventually, the film was overshadowed by DeMille's popularist The King of Kings, which outguns Olcott's film for spectacle, but fails to capture From the Manger to the Cross's authenticity and calm sense of spirituality. Whereas DeMille's Jesus is heralded by overbearing fanfare, the Jesus of this film "speaks" for himself.